Connectors are made of metal and they join together wood, making the installation process both easier and structurally more secure. 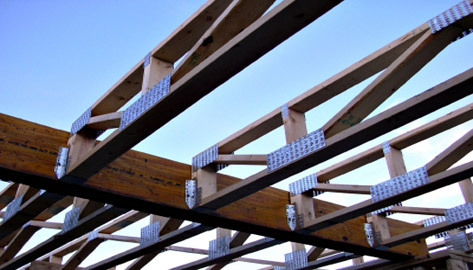 In areas effected by hurricanes, connectors are an essential part of the home as they fortify the structure and prevent it from being damaged by strong winds. Depending on the application, connectors are available in many different thicknesses, surface finishes, shapes, and sizes.